The incident of umbrella sister beating workshop workers went viral in Singapore and Malaysia. 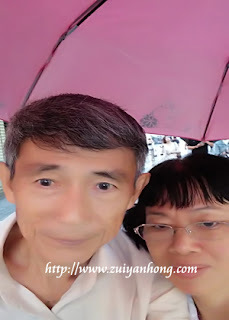 My wife and I happened to selfie in the rain when we were traveling around Kansai, Japan in late May. It was drizzling on the first night when we were in Osaka during the Japan trip. 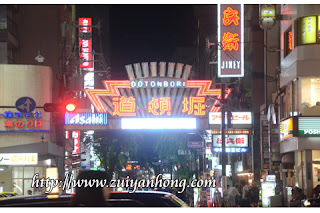 We carried an umbrella to Dotonbori which was flocked with tourists who were hunting for Japanese delicious food.